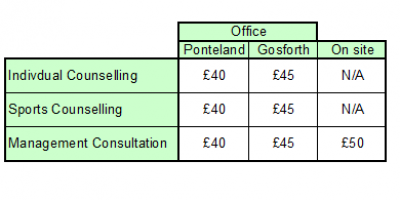 As you are making a significant choice, it is important that the initial 30 minute consultation is free. This will give you the opportunity to explore if you feel comfortable with the therapist and if you feel confident that you can work together. Each 50 minute session with the individual is invoiced from £40. There are a limited number of concession sessions available for those of lower income, please inquire for further details.